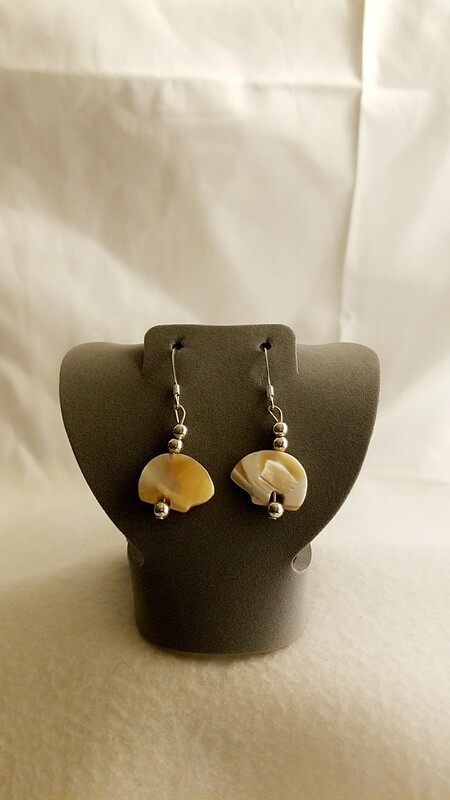 Let These exquisite Mother of Pearl Zuni Bear Earrings awaken your soul, and give you strength. 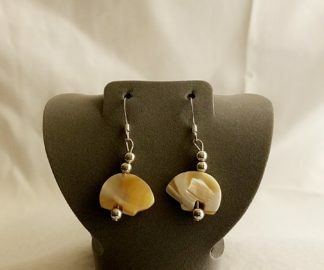 Let These exquisite Mother of Pearl Zuni Bear Earrings awaken your soul, and give you strength. These powerful Zuni Bear earrings are carved from Mother of Pearl accented with silver beads. Zuni Bear- symbolizes the most powerful animal, the bear, Guardian of the Earth, representing strength, introspection, and power of the soul. Bear awakens the power of the unconscious and our primal instincts. It reminds us to draw on our inner resources and practice discernment and discrimination. The Zuni Indians believe that if you place a small button filled with corn meal under the nose of the Zuni Bear when you leave your home it will protect it while you are away. The strength and well-being of Bear are said to be passed on to the owner. When a bear has a Heart line, this line is the path of the Spirits breath – emphasizing taking in the spirit of Bear. 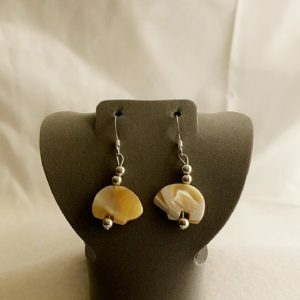 If you would like to know more about the gemstones, rings, and items that are used in making handmade items like this, Mother of Pearl Zuni Bear Earrings; please take a look at the Material Description Page and my Chain Maille Descriptions page.